Monika Ammerman has always wanted to make the world a better place. As a teen, she participated in her high school’s Model U.N. program and organized field days for underprivileged teens and formal proms for kids with special-needs through the Chick-fil-A Leader Academy. 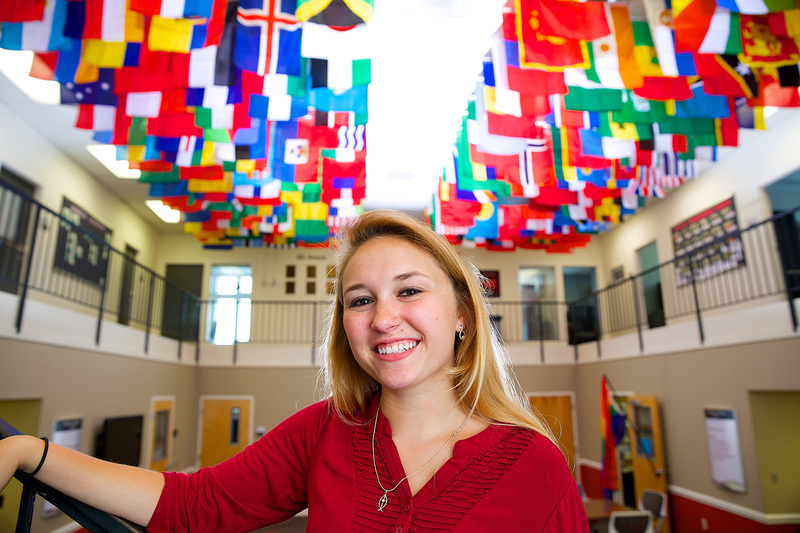 At the University of Georgia, she joined an orientation team that welcomes students from all over the world and helps them navigate a vast social and academic network. Now, as one of only two American students chosen to take part in a unique United Nations program, Ammerman will help achieve an ambitious U.N. agenda: to eradicate poverty by 2030. “This opened up the door to an amazing opportunity to pursue my dream to make a difference, and to do it on an even bigger platform,” Ammerman said. Last September, the U.N.’s 193 member countries adopted a set of 17 sustainable-development goals that address a range of social and environmental needs, from health and deforestation to clean energy and education. Young leaders from 40 organizations around the world, including Amnesty International and the Red Cross, were invited to apply to help carry out these goals on a local and community level. Twenty-year-old Ammerman was one of them. She applied through an organization known as AIESEC, a global non-profit network of young leaders on which she serves as vice president of account delivery, helping her peers from other countries adjust to work and life in the United States. She was one of more than 80 millennial ambassadors selected by the United Nations from countries all over the world. Her assignment: ensuring access to water and sanitation for all, with an emphasis on seven countries in the Caribbean and Central and South America. In one of her first activities as ambassador, she traveled to New York to meet her peers and attend a summit at U.N. headquarters to help plan the execution of the goals. Meeting in the iconic U.N. General Assembly Hall, where U.N. member states convene to discuss pressing global issues, was nothing short of remarkable, Ammerman said. It was also a unique life lesson for the college junior. Even with her strong background in global affairs, nothing prepared Ammerman for the diverse backgrounds she would encounter in her fellow ambassadors. One of the first people she met was a young man from Namibia who was traveling abroad for the first time and never had the opportunity to speak out before, she recalled. Ammerman, who attended Kennesaw Mountain High School, a magnet school specializing in science, math and technology, also singles out her participation in both Model U.N. and Chick-fil-A Leader Academy for helping expose her to different learning environments and nurturing her love of social studies and global relations. Kennesaw Mountain was one of the first schools to participate in Chick-fil-A Leader Academy and Ammerman was a part of its inaugural group. Five years later, its facilitator, assistant principal William Richardson, still steers the program, in which students participate in monthly “leader labs” to learn fundamentals of leadership, then put their lessons into practice by creating community service projects. Ammerman is off to a good start in her own post-academy pursuits. This summer, her work with the U.N. will take her to Peru, where she will help build and replace clean-water systems in Cusco, an Andes Mountains town where more than half of all residents live in poverty. Later in the year, she’s headed to Iceland to establish a global technology development partnership though AIESEC. 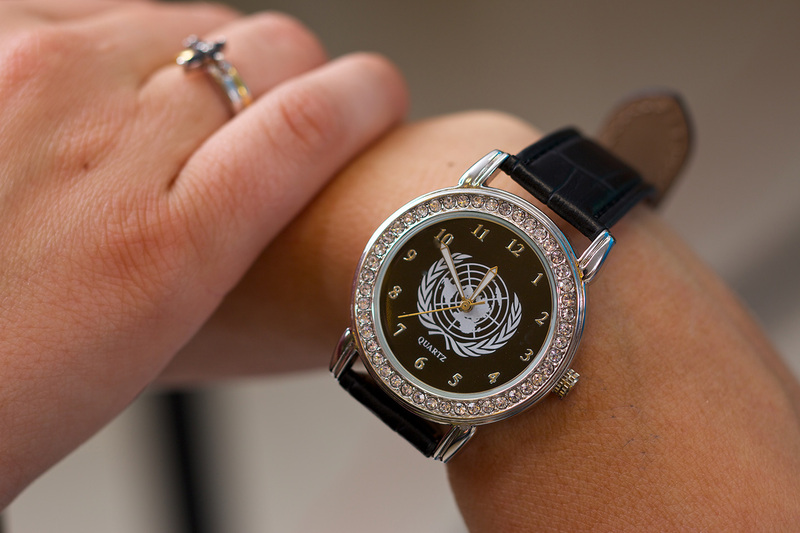 Ammerman received this Quartz watch while visiting the United Nations in New York. Her youth, she believes, is integral to her work with the U.N.’s sustainable-development agenda and other noble objectives. It was 1965 when Truett Cathy came home with his restaurant’s latest menu offering: a piece of fried chicken breast tucked between two buttered buns. His son, Dan Cathy, remembers the moment well as a 12-year-old boy. Though he didn’t realize it at the time, his father’s new sandwich would change not only Dan’s life but the trajectory of his family’s business and the fast-food industry as a whole.